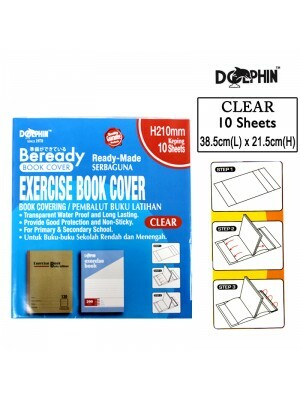 BOOK COVER "THICK & CLEAR" - TEXT BOOK (10 SHEETS X H260MM)* Ready made text-book cover* Transpa..
BOOK COVER "THICK & CLEAR" - TEXT BOOK (10 SHEETS X H255MM)* Ready made text-book cover* Transpa..
DOLPHIN TEXT BK COVER~CLEAR 023 - TEXT BOOK (10 SHEETS X H255MM)* Ready made text-book cover* Transp..
DOLPHIN SELF-ADHESIVE BK COVER-EMBOSS028* Easy & Fit* Water Proof* Transparent* Saved Time ..
Dolphin Beready Exercise Book Cover Emboss-Pack of 10 SheetsHigh quality plastic wrapper which is re..
Dolphin Beready Exercise Book Cover Clear of 10 SheetsHigh quality plastic wrapper which is resistan..
BOOK COVER "CLEAR" - ACTIVITY BOOK (10 SHEETS X H260MM) High quality plastic wrapper which is r..
Dolphin Beready A4 Book Cover of 10 SheetsHigh quality plastic wrapper which is resistant to heat.&n..
* Size : 255x370+ mm* Emboss* 10 sheets adjustable lenght. 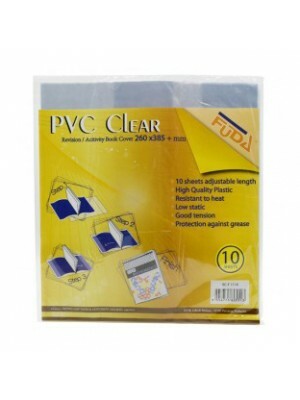 * High quality plastic. 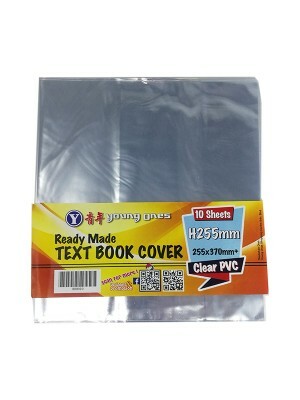 * Resistant to heat..
* Size : 255x370+mm* Clear * 10 sheets adjustable lenght. 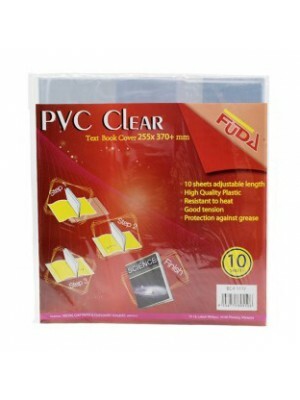 * High quality plastic. 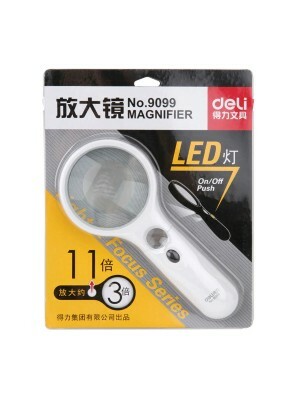 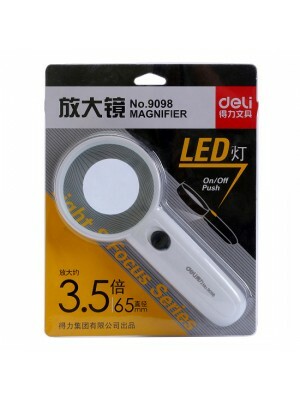 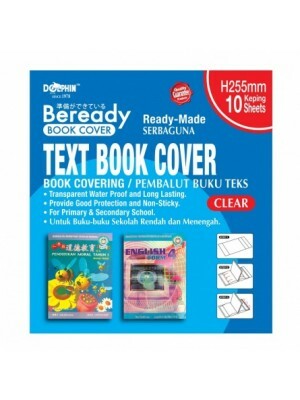 * Resistant to ..
* Size : 210x310+ mm* Ready made to fit multiple pagination 40 to 200 pages. 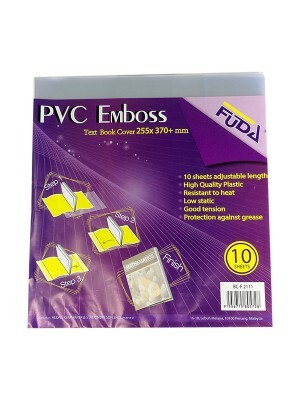 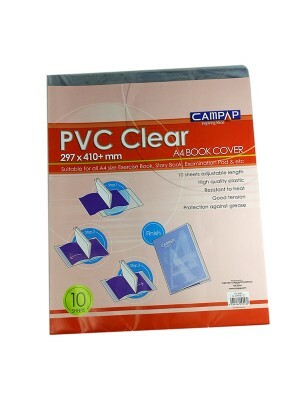 * 10 sheets adjustable l..
* Size : 260x385+ mm* 10 sheets adjustable length* High quality plastic. 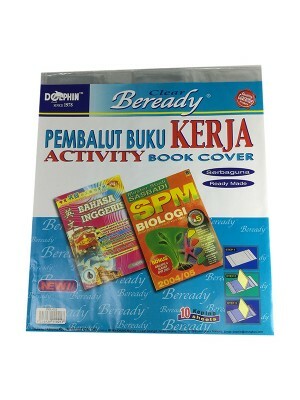 * Resistant to heat. 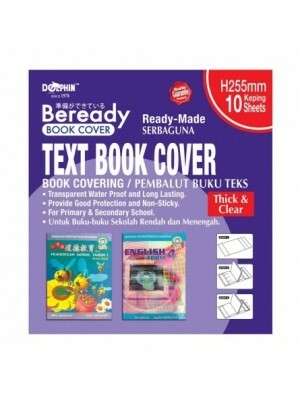 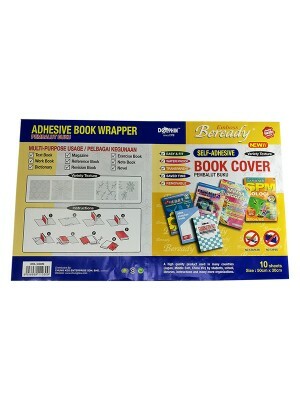 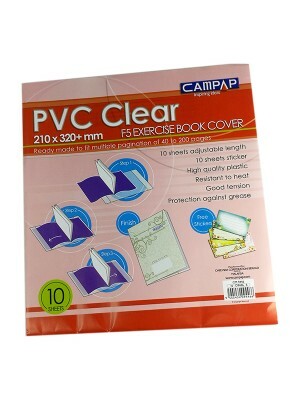 * Low st..
* Ready Made Test Book Cover* Clear PVC* Qty : 10 Sheets* Size : 255mm x 370mm* Prodcut Wt. 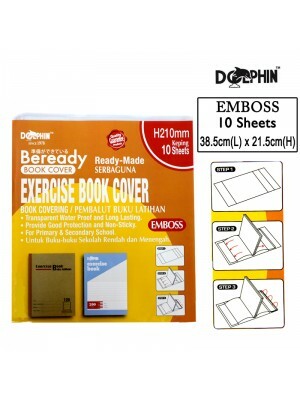 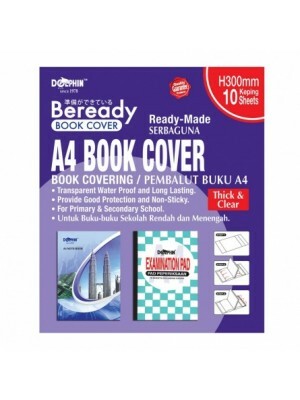 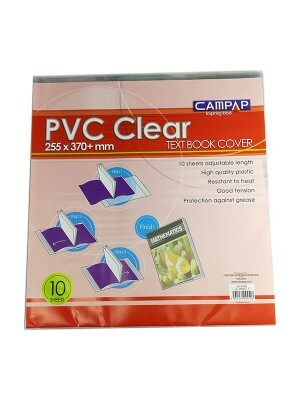 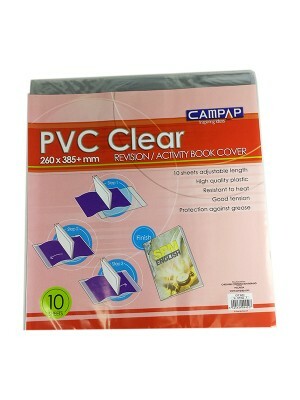 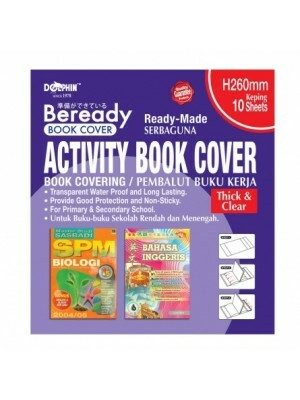 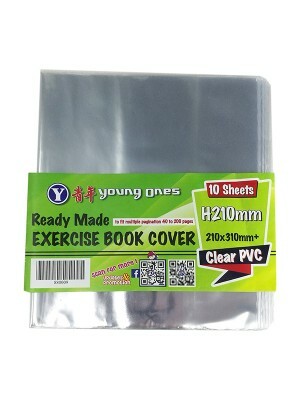 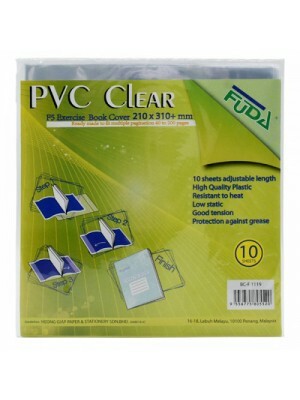 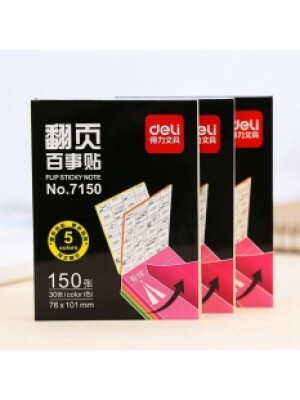 : 40g..
* Ready Made Exercise Book Cover* To fit multipe pagination 40-200pages* Clear PVC* Qty : 10 Sheets*..
CAMPAP PVC CLEAR - REVISION /ACTIVITY BOOK COVER* Code : CM9452* Size : 260 x 385+mm * Qty : 10..
CAMPAP PVC CLEAR - TEXT BOOK COVER * Code : CM9450* Size : 255 X 370+mm * Qty : 10 sheets*..
CAMPAP PVC CLEAR - A4 BOOK COVER * Code : CM9448* Size : 297 x 410+mm * Qty : 10 sheets* H..
CAMPAP PVC CLEAR - F5 EXERCISE BOOK COVER * Code : CM9446* Size : 210 x 320+mm* Ready made to f..